Now when the warm weather is finally here we truly can enjoy some of the best trends of the season. I first noticed the the mirrored print trend a few seasons back when London-based designer Mary Katranzoe changed fashion forever with her unique prints. Ever since, a lot of designers are trying to recreate the trend and put their on spin on it. As of this summer the prints are everywhere and more wearable then ever. Dresses, skirts, jackets and pants are on everybody from celebrities to everyday woman. The bright colors and unique combinations of prints are magnet for every stylish girl. For this post I choose Maggy London dress that is low in price (only $128.00) and high in style and wearability. The cut is perfect for any body type and the colors are great with any skin tone. 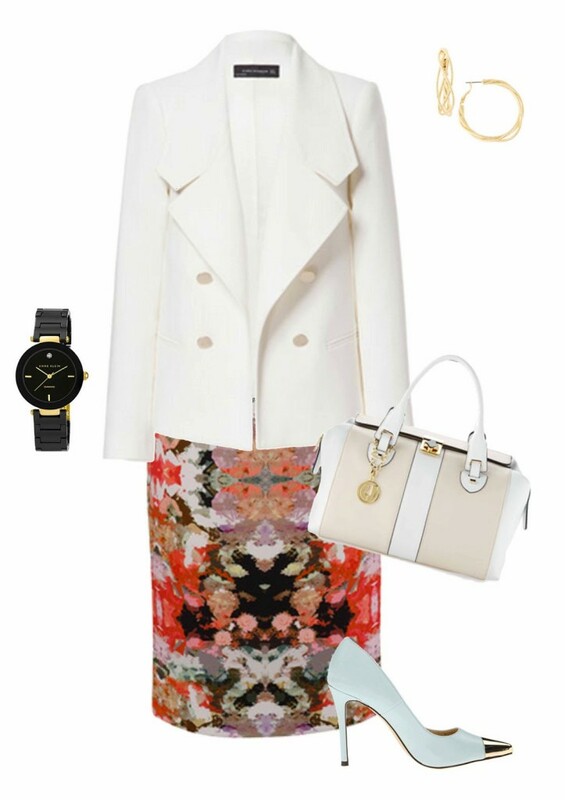 Pair it a “smart blazer” in a light color for work. Edgy heels and jewelry are perfect for night wear. 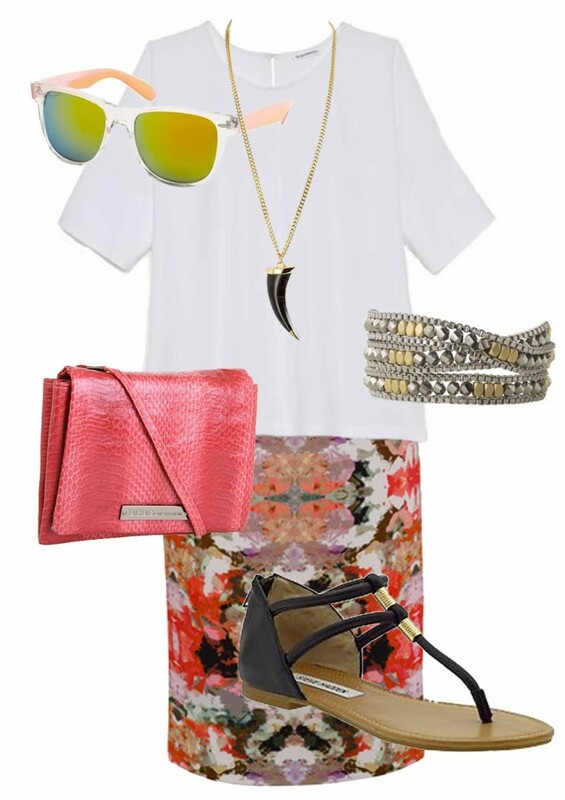 And for the weekend, throw on a T-shirt or a light blouse, sandals and a cross body back and have fun. Remember: with few changes of accessories and shoes you can have a multi-wear dress for many occasions. The mirror print trend is so fun, like a kaleidoscope. Also love the triple wrap Luna Wrap Bracelet. I have this piece, and it is so versatile. Sometimes I wear it as a necklace by tying a loose knot in the middle, forming a drop of sorts. It becomes the perfect length to wear with a button up shirt open at the neck, or a shallow scoop neck top. Thanks for the great looks.